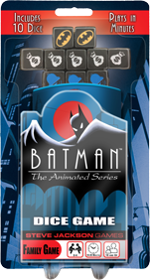 For comic and superhero fans, the recently released Batman: The Animated Series Dice Game is a great choice. *Play a villain, each with*a unique power. Escape with the cash before Batman catches you! This super-powered brawl is available at your friendly local game store or at select Hot Topic stores. 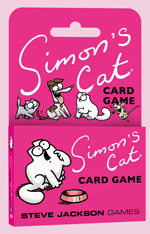 Looking for a fun, easy-to-learn party game for a lot of people? Look no further than*I Hate Zombies! Up to 12 players take control of humans and zombies, fighting it out in the classic game of rock, paper, scissors. Zombies are strong, but humans get special powers to defend themselves! It's easy to play, but full of fun bluffing and mind games. I Hate Zombies is available at your friendly local game store. The fan who has everything needs a place to store it all. 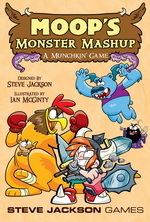 Enter: our Munchkin Monster Box! It holds nearly 2,000 cards, plus accessories like the Level Playing Field. With boxes illustrated by John Kovalic, Len Peralta, and Ian McGinty, to name a few, you can find one that fits your style. Check with your FLGS for these beauties. We have a couple of holiday specials ready to stock your Christmas tree of choice! 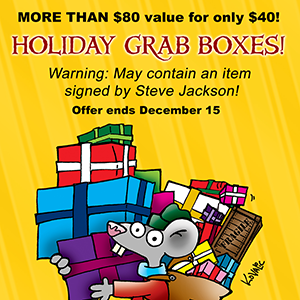 Our Holiday Grab Boxes are back by popular demand, in Mostly Munchkin and Surprise Me! varieties. Each box gets you $80 worth of mystery items for the low cost of $40. Not enough of a deal? 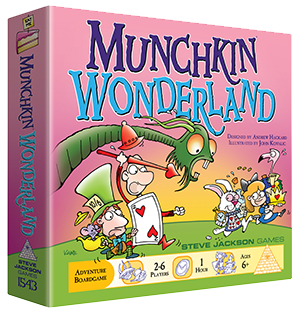 How about a chance to get something signed by Steve Jackson? Yeah, I thought so. Loot signed by the man himself will be inserted into random boxes, so keep an eye out! Last but certainly not least, our Game-In-A-Bag promotion is here as well. 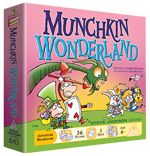 Simply buy a Munchkin Messenger Bag*and we'll fill it with a Munchkin game, expansion, accessory, and swag! Both of these promotions are going on now until December 15. Impossible abilities take center stage with Pyramid #3/97: Strange Powers. Remain hidden from humanity, bend reality with your mind, or save the day as an anthropomorphic weapon. Pick up this Pyramid individually, or subscribe today for this issue and many more months of cutting-edge GURPS goodness .*.*. only from Warehouse 23!